Welcome to the Alaska 4‑H Program! We’re glad to have you and your child involved in our nation's largest youth development organization. Through 4‑H we hope your family will find rich opportunities for personal growth, fun, and education. You may have some questions about 4‑H now, or as you and your child progress through the 4‑H program. 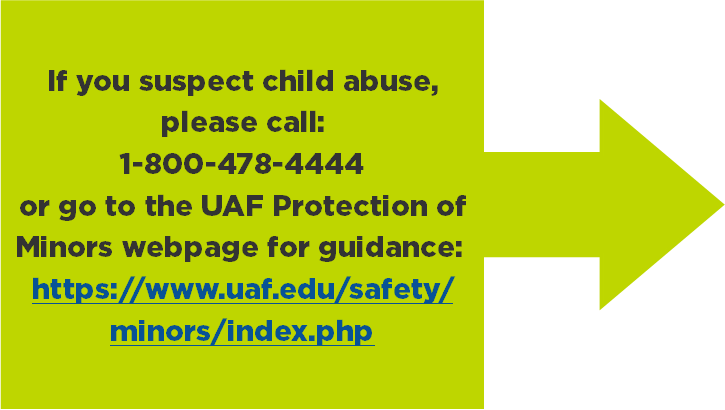 Please visit different pages on this site, chat with your 4‑H leader, or contact your District UAF Cooperative Extension Agent any time. 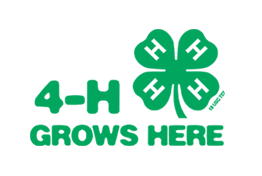 Alaska 4-H welcomes ALL youth in grades K-12, and their families. ​​The University of Alaska Fairbanks is Alaska's university, and 4-H is your first class at UAF. Growing True Leaders Across Alaska! Providing opportunities for Alaska's families through innovative programs, traditional programs, innovations on traditional programs, and special interest programs to promote the development of positive life skills.